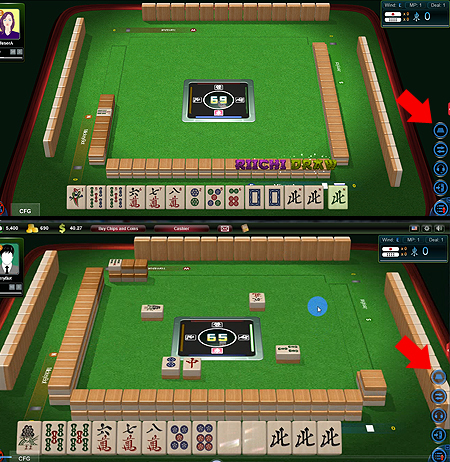 Mahjong Time is pleased to announce the public release of its EON 2.3 Beta. For the last few months, we have been very busy improving the appearance and the performance of the game. We have named this release ‘2.3 Beta - Action Menu’ because the most striking feature of this release is redesigned action menu that players use to call pass, pong, mahjong, tsumo, etc. and now it is ready for thorough testing and scrutiny. We are searching for honest, sharp opinions from knowledgeable people like you in order to tell us what we are doing wrong and, hopefully, what we are doing right. We want to build something that players will love to use as much as we are enjoying in building it, as simple as that! The new menu replaces the call buttons at the bottom of the screen with a streamlined and intuitive new pop-up menu. The new menu naturally speeds up games without compromising functionality, and does not block view of the table, allowing for a more zoomed-in immersive experience. Down Arrow - places cursor in middle of your hand. If the focus is on Action menu then middle arrow will place the focus to your hand. So, you can select a tile to discard. Charleston - Underlined letters and numbers in menus and dialog boxes options correspond with the keyboard keys you must press in order to emulate mouse clicking of the same menu item or dialog box option. 0/1/2/3/4/5/6/7/8 - Numbers from 0 to 8 on your keyboard are used specify the number of flowers to be replaced. 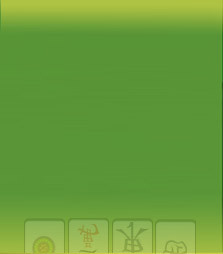 Flowers - Select a flower tile and then use arrow keys to discard or replace the flower tile.